We have to machine materials to make products, and machines and tools are required for the machining process. 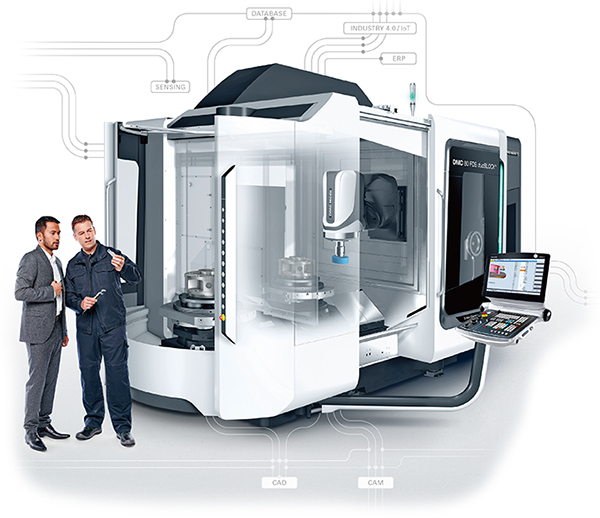 A machine tool is a constant source of products and parts worldwide. Precise products and parts created by a machine tool provide solid foundation for cars that can keep running in severe conditions or cutting-edge communication equipment that emerges in the market one after another. The accuracy of machine tools significantly affects accuracy and quality of finished products. 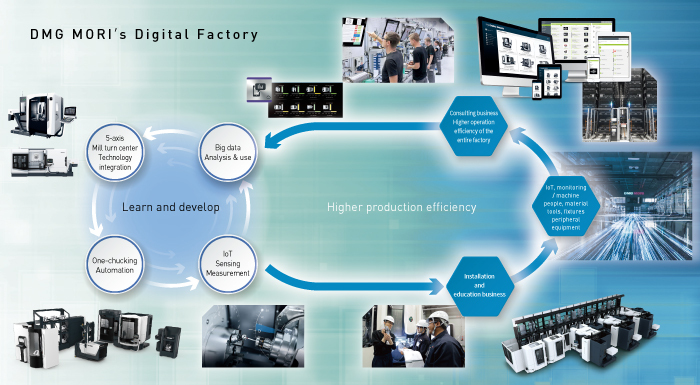 DMG MORI is committed to creating better products as an origin of our social life. Our daily lives consist of a variety of activities including eating, moving, communicating, and maintaining health. Machine tools are fundamental to successfully pursuing these activities and are found in virtually every facet of life today as we know it. For example, moving requires automobiles which are composed of many parts that were directly produced using machine tools. Plastic bottles are an instance of such as they are manufacturing by injecting material into a mold that was created with machine tools. Products often taken for granted in every day life may not seem to have a corollary to machine tools, but in fact are linked to machine tools in the production of the product. Evolution of machine tools makes our lives richer.